Palimpsest is an international journal for linguistic, literary and cultural research founded at the Faculty of Philology in Stip in 2016. It is published electronically twice a year, the first issue in May and the second one in November. 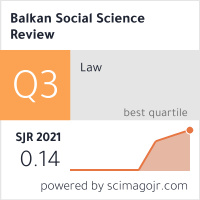 The journal publishes papers in the area of linguistics, literary science, teaching methodology and culturology. 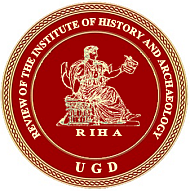 In addition, there is a section reserved for reviews of books, monographs, and other publications in the sphere of philology and culturology. The international journal Palimpsest publishes papers in the following languages: Macedonian, English, Russian, German, Italian, French and Turkish. All papers are double-blind peer-reviewed by two independent reviewers prior to being accepted for publication. The Geologica Macedonica is an international, open access, peer reviewed, both online and printed journal. The journal focuses on the following areas of publication: Mineralogy, Petrology, Geochemistry, Ore deposits, Environmental geochemistry, Hydrogeology, Engineering geology, Geophysics, and other branches of the Earth Sciences. The Journal of Economics ISSN 1857-9973 is an international, open access, peer reviewed, online journal. The journal focuses on the following areas of publication: Economics (Microeconomics, Macroeconomics, International Economics), Banking and Finance, Accounting and Auditing, Management and Business, Entrepreneurship and Marketing. 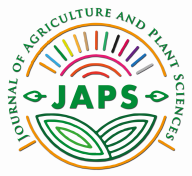 Journal of Agriculture and Plant Sciences (ЈАРЅ) is an international journal for publication of scientific, professional and applicative achievements in agriculture and plant sciences. The journal is publishing original research papers, review articles, short communications, professional and technical papers and book reviews. The journal is publishing results from fundamental, applicative and technical research in broader area of agricultural and plant sciences. The Yearbook of the Faculty of Computer Science from "Goce Delcev" University - Stip is a collection of achievements in computer science and technology, mathematics and applied mathematics. Годишниот зборник на Факултетот за туризам и бизнис логистика (ФТБЛ) од Универзитетот Гоце Делчев – Штип претставува збирка на трудови во областа на туризмот и бизнис логистиката. "International Symposium at Faculty of Medical Sciences"
The Symposium will be held on 24th of November 2015 at the Multimedia center of the Faculty of Economics in Stip. The Symposium will be accredited by the Pharmaceutical Chamber of Republic of Macedonia.